BATTLE GROUND — If you have a soon-to-be or current high school student in the Battle Ground School District who may be interested in a hands-on, science-based program, then you’re encouraged to come to the Center for Agriculture, Science and Environmental Education (CASEE) program‘s Science Night on Thu., Jan. 17 at 6 p.m. at CASEE Building B, 11104 NE 149th St. in Brush Prairie. 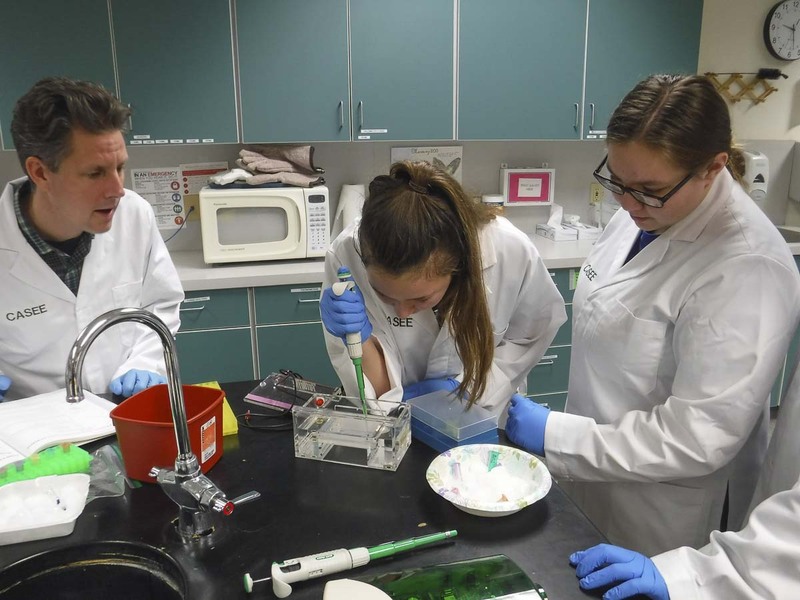 CASEE is a STEM (science, technology, engineering and math) program for high school students that integrates biological, environmental and agricultural sciences with math and English language arts. It is offered through the Battle Ground Public Schools Career and Technical Education program. Students in the program attend classes on the CASEE campus, an 80-acre learning laboratory where scientific concepts are explored and reinforced through experiential learning in the classroom, in the lab, and outdoors. Bus transportation is provided to CASEE from both Prairie and Battle Ground High Schools. Applications for new students are due March 27. If you plan to attend, RSVP for the event at www.battlegroundps.org/casee. If you have any questions about the CASEE program or Science Night, call (360) 885-5361 or email info.casee@battlegroundps.org. Information courtesy of the Battle Ground School District.